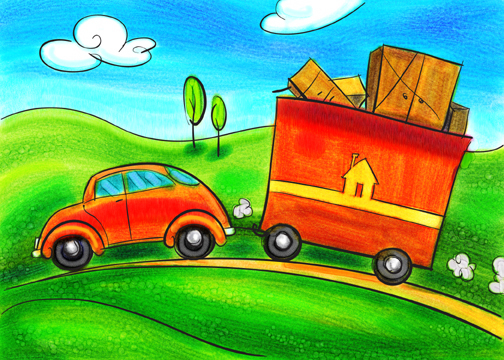 Whether you are used to moving or not, relocation can be a stressful time. Packing up and moving across several states can be difficult. Relocating and starting out somewhere new is equally stressful. You need to find a new place to live, a new community, and new friends. However, with a little bit of patience and plans, it can go smoothly. Here are five simple tips to help your relocation go a little smoother. Ask for a Relocation Package. If you are moving for your job, ask if they have job relocation package or some type of relocation assistance available. If they do not, be prepared to negotiate. Relocation can be very expensive and they might be willing to help cover some of the costs. Take a trip. If you have time, try to take a trip to your new location to explore before you move. This will give you a chance to see where you are going to be living. You might be able to explore different neighborhoods, talk to some people about the schools, and more. You can find out what there is to do around the town for both you and your whole family. Don’t rush into buying. Start by renting (short term, if possible) instead of buying a home or signing a long term lease. You should always try renting a month to month or corporate apartment if possible. Though it will take a few months to get used to a new location, you do not want to buy a home if you might not like the job or your new neighborhood. Corporate housing serves perfectly for an interim living situation during a relocation. Stay organized. A big relocation move requires a lot of organization. Be prepared to make a lot of lists and follow them. You\r relocation company or moving company should be able to provide you with some handy lists to keep your move organized. Use a local realtor. A good LOCAL realtor in your destination City is one of the best tools you can have. She will know a lot about the location where you are looking plus the best way to buy a home there. She will be able to help you through the whole inspection and buying process. Many will also be able to help you settle into the neighborhood. Relocation can be a very scary term. However, with a lot of organization ( and help from good relocation professionals and realtors ), you will be settled in your new home in no time. You should always try to visit the area – and spend time there – before you move so you can see if you are going to like living there. Also, try to find a place where you can rent month to month instead of buying a home, just in case. For relocation assistance in Colorado you can call Housing Helpers at 303.545.6000 and we will make your relocation that much easier! This entry was posted in Colorado Relocation on November 20, 2014 by Stephanie Iannone.